In 1989, Susan Simpson and Diane Welch published the first Learning Language Arts Through Literature book that launched Common Sense Press. When Susan retired in 2016, John and Diane Welch took over operations. Common Sense Press continues to add curricula designed for homeschoolers, traditional schools, and parents who want to enrich their children’s education. With Common Sense Press products, meaningful hands-on activities replace textbook methods that are often detached from the learning process. For example, our Learning Language Arts through Literature series incorporates spelling, reading, vocabulary, grammar, writing, penmanship, and phonics in the same lesson. Research shows that language arts taught in this way is much more effective than when taught in the traditional isolated and fragmented manner. Before being published, all of our products must pass two tests. First, because we know just how busy a homeschool mom’s life can be, we publish materials that are complete and require a minimum of planning. Second, we believe that education is more than just getting the right answer on a multiple-choice test. Learning should be meaningful, comprehensive, and stimulating to the student. ​Our products are offered through select resellers at discount prices or can be ordered from our online store. Since her last child graduated from home school in 1996, Janie has had more time to write, and now publishes articles regularly in World and World & I magazines. In the fall of 2000 her first novel, The Playmaker, was published by Random House, followed in 2002 by The True Prince. Debbie Strayer received her bachelor’s and master’s degrees in education from Florida State University and was an experienced public school teacher and mentor of younger teachers. She was the former editor and co-founder of Homeschooling Today™ magazine, the author of Gaining Confidence to Teach, one of the co-authors of the Learning Language Arts Through Literature series and editor of The Homeschool Answer Book by Dr. Ruth Beechick. For Debbie, her most important accomplishments were being the wife of Greg and mother/teacher to Nate and Ashley. Dr. Greg Strayer received his Ph.D in English from Florida State University after serving four years in the Navy. Residing in the Tampa Bay area, he spent four years teaching English and Humanities at the junior college level. He and his wife, Debbie, homeschooled their two children. While homeschooling her five children, Diane learned the power of using Dr. Ruth Beechick’s integrated language arts and created the first Learning Language Arts through Literature book in 1989. Always an avid reader, Diane has written several Living Literature articles for Homeschooling Today magazine. Today, she continues to share her love of literature and writing with her grandchildren and other homeschool students in her area. With a degree in education, Susan has taught in public, private, and homeschool settings including teaching her five children. She believes learning should take place in context and be relevant to the student. She began Common Sense Press in order to provide teachers with effective learning materials in an easy-to-use format. Dinah Zike, M.Ed, is well-known in the teaching world for her creativity and insights. In Great Science Adventures, she combines years of experience, incredible enthusiasm, and a powerful method of helping students understand and retain information. Dinah is the author of numerous books and is in high demand as a speaker year round. Tammy Duby is a respected, committed educator and author with degrees in both Elementary Education and Early Childhood Education. She is the author of The Ultimate Lap Book Handbook and she travels teaching Lap Book workshops to home educators. In addition to teaching in the Classical Conversations program in her community, she also teaches history and science clubs for local homeschoolers. She has been homeschooling since 1989. Yuriko, who lives in Seattle, home schooled her three children. In addition to authoring the above books, Yuriko wrote several preschool articles for Homeschooling Today magazine. She has worked extensively with Common Sense Press products for many years. Yuriko is available as a speaker on topics related to her books. Gayle Graham is an educational consultant and veteran homeschool mom of five daughters. Gayle is a former public school teacher who taught fourth and fifth grades, but she retired when her first child was born. Gayle is available, on a limited basis, to speak about any of the topics covered in her books. Roger is an author, lyricist, musician, and creator of One Hundred Sheep, Skip Counting Songs from the Gospels. Jaye Hansen has taught various levels in both public and private schools. She has a degree in Psychology and a full course of studies in Elementary Education. Teaching a course in practical math at the high school level led her to write Grocery Cart Math. She and her husband live in Winter Haven, Florida with their three children, who were homeschooled for three years. 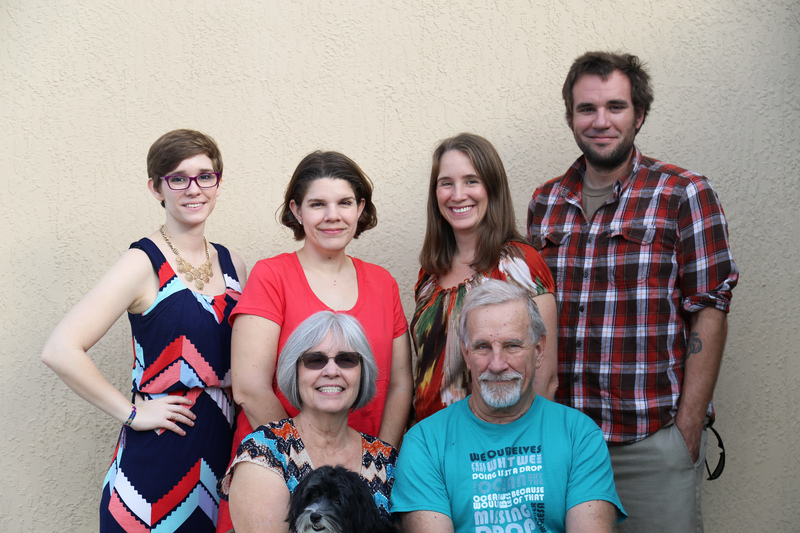 John and Diane Welch began homeschooling in 1982 eventually teaching all five of their children. They are now happy to be involved in the homeschooling of their twelve grandchildren (and counting). Their youngest daughter Faith, a recent English/Advertising graduate of Lee University, manages the office, the high school essay assessment service, and all social media. Oldest daughter Katie, a Samford University Art graduate, takes care of graphic design needs. Daughter Erin, a Samford Music graduate, is a published author and blogger. Their son Tim graduated from Universal Technical Institute and helps with warehousing in his spare time. Their daughter Patience, a graduate of the University of Central Florida with a BFA in Graphic Design and a BA in Advertising, illustrated the three new Red Readers and helped get the new 3rd editions of LLATL print worthy.